* This item will be custom made per your metal specifications and will be shipped on or before Wednesday May 15, 2019. You can request a stock inquiry from the Jewel Box once it has been added. Stylish and natural, these wrap earrings are the perfect example of our latest favorite earring trend! 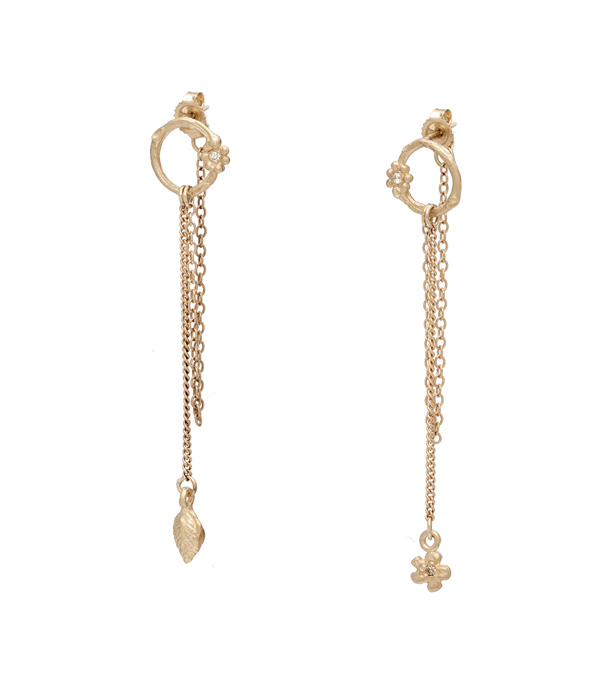 These branch drop earrings feature approximately one inch chain dangles with sculpted leaf and tiny flower charms. 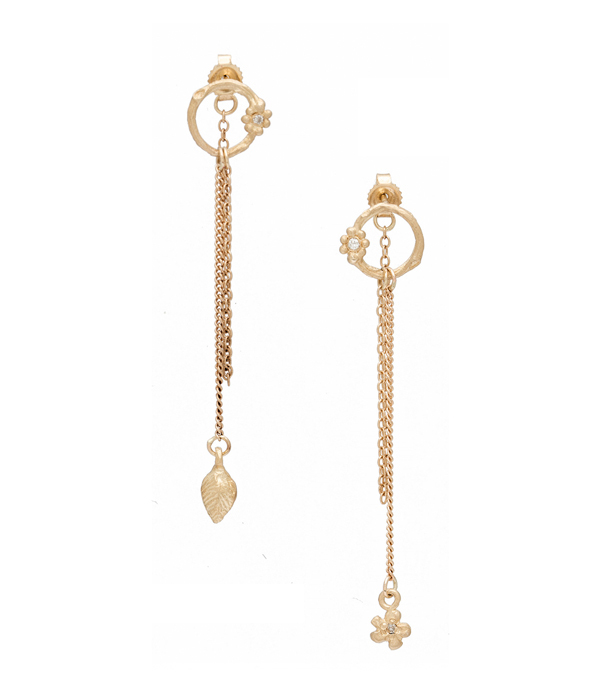 A tiny cable chain attached to the earring back wraps around the ear lobe to the back of the ear to create a unique golden threaded look. Categories: Earrings, Earth and Sky.